Hugh: Welcome. This is Hugh. I have a special treat for you today. We are blocked, all of us, by what psychologists call leadership shadow. There is this thing inside of us that prevents us from receiving money, building the success that we want. I interviewed my dear friend Dr. David Gruder, organizational and developmental psychologist, about this principle. I am sharing that with you today as part of learning about how do we unbind ourselves and unlock our inner potential. Here is the interview with Dr. David Gruder. What is a Leadership Shadow? We are talking about what holds us back as leaders. A lot of it is invisible. I am talking about a lot of different aspects. This particular session is about what psychologists call shadow. 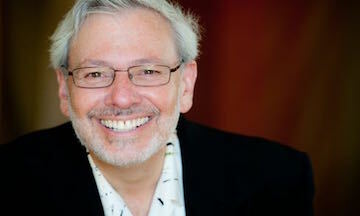 My guest today is Dr. David Gruder, organizational and developmental psychologist, dear friend, America’s Integrity Expert, a multiple award-winning author. He has very valuable content and is a wealth of resources. Today, we are going to focus on what we don’t know that is holding us back. I am going to throw it to David. I am going to ask you, David, from your perspective, when we are talking about shadow, what is it that we are really talking about? Shadow is kind of comparable to our unconscious. We can take that a step further to make that more practical and more usable. It is parts of ourselves, both the golden parts of ourselves and the not so pretty parts of ourselves, that we hide, repress, deny, indulge, or justify. In other words, these are parts of ourselves that we have no wish to be, or are unaware of being, or are unaware the impact of, or don’t care about the negative impact of. Hugh: Don’t care. That is fascinating. Hugh: I have been in the dark about this in my life until I met David Gruder. You talked about shadow, and I went, Huh? Then it surfaced several other places. Ken Courtright in his podcast talks about reticular vision where you start seeing things about a Mustang, and then you see Mustangs everywhere. Now I am hearing about shadow. From a leadership standpoint, how does this limit our effectiveness, not knowing about our shadows? David: First of all, I loved your phrase, “I have been in the dark about shadow.” That’s perfect. How it limits us as leaders is that when we don’t know about our unintended impacts, when we don’t know about our unintended roles in what is going right or in what is going wrong, there is no way for us to get a handle on our part to help things go better or our part to do on a more conscious, deliberate level what we are already doing that is helping things go well. If we don’t have a conscious relationship with our impacts, both positive and negative, especially unintended positive and negative impacts, we are going to be confused as leaders as to why things go well and why things don’t. That is why it’s important for leaders to have elevated shadow literacy. Hugh: My brain is going wild thinking about myself and how many times I could have been better had I only had access to this kind of information. Could you give some hypothetical examples of how not knowing something about ourselves, the shadow piece you are talking about, would cause a negative impact? I see people setting up problems in my work as you do, and they are totally unaware that they are actually doing it, blaming other people for the consequences. David: Sure. Let me give you a very simple everyday example that everyone can relate to rather than doing the dramatic stuff that makes for good conversation but not much applicability. On an everyday level, one of the leaders that I mentor had sent out an email about a specific project to who he thought was the project team. There was a mislabeling of one of the project team members in that his name was attached to a broad notification list. The leader didn’t double check the emails before sending them out. He didn’t know that the name attached to one of the team members was actually an email address that was an email for a group notification list. What ended up happening was that this notification about a particular project went to a bunch of whole people that are not involved in that project. That is a human error. We make those errors. No harm, no shame, no fault, no blame. The shadow piece was connected to what happened from there. Because he didn’t send out that repair email, what he got back in the absence of that was an angry email from someone who shouldn’t have been notified in the first place about, “Quit wasting my time. Quit being careless.” It was an angry response to having gotten a notification about something they should not have been notified about. That anger was needless anger because I happen to know that the person that was angry would have had no anger at all had the mistaken notification been followed up by an email saying, “Oops, I am sorry to have bothered you. I made a mistake. It was the wrong email address for one of the team members, and you got notified inadvertently.” If that follow-up had occurred, there would have been no resentment, anger, or frustration on the part of the people who were unintentionally notified. That is the symptom. The shadow piece in this particular leader is a shadow that has to do with a dynamic that is often called special boy. The special boy shadow is where if I make a mistake or if I have an unintended negative impact, I am special, I don’t have any repair I need to do. You should just give me a pass card and not worry about it. If you get upset because I haven’t done a repair, that is your problem, not mine. That is all shadow. It is about impact shadow. I have been in denial about the negative impact, the unintended negative impacts, of an unintended behavior of mine or an unintended role that I’ve played in a complication that has occurred. That is an example of shadow. It happens every day. David: It happens every day. Hugh: There was a shadow with the leader. I think there is also a shadow with the person who had the angry email. David: Yes. The shadow, it turns out, with the person who sent the angry email was that he was doing shadow withhold, meaning that he had seen this pattern before in this particular leader. He had never sat down with that leader to say to that leader, “Here is your negative unintended impact for not doing these kinds of repairs. Because I have not sat down with you to let you know about how you are impacting me, I have accumulated increasing amounts of resentment toward you for repeating this pattern, and I have reached…” What you have heard me refer to as Popeye point from the Popeye cartoons, just before Popeye reaches for his spinach: “That’s all I can stand. I can’t stands no more.” This particular fellow reached the Popeye point, and he attacked the leader from shadow because his role was that he was withholding unfinished business toward the leader, and he had never sat down with the leader to help the leader understand what the unintended negative impact of this leader’s patterns were on him. Hugh: That is so good. I have two more questions, and you can fill us in on other things that we need to know from a leadership standpoint. Obviously, I am not in therapy work; I am in leadership cultivating work. My job is to help people be aware of principles and help them learn how to embrace those and learn more and manage themselves. Are there different kinds of shadow? David: Yes. Indeed, there are. Just for clarification’s sake, of course, as you know, I have a very deep, long background in doing psychotherapy, but I don’t provide psychotherapy anymore. I haven’t provided psychotherapy since 2000. At the time of our recording right now, that is 17 years ago. I still train and mentor therapists, but what I bring to the leadership world is a deep therapy perspective about mentoring leaders in shadow literacy and in leader effectiveness and effectiveness at resetting their relationship with power. Just to clarify that. Did you want to say something before I go on to dimensions of shadow? Hugh: You just opened up a whole lot more topics for future interviews. My brain wants to go there, but not now. Continue with the shadow. Thank you for that. David: Sure. Elevated shadow literacy really requires much more than people who are even acquainted with the phenomenon of shadow realize. Dimensions of shadow that are specifically relevant to leaders include power shadow, where we have leaders who have a shadow relationship with the power that their leadership role has. They are either in power tyranny, or they are in denial about the power that they have or that their role has. They aren’t in right relationship with the power that the leadership role has inherent within it. Another aspect of shadow is authority shadow. A lot of leaders who have power shadow kind of have screwy relationships with power because they have unresolved authority issues. They either have an adolescent rebellion against authority, or they are drunk on being the authority. They are egotists, narcissists, or they are power-phobic, even though they are in an authority role. They run away from recognizing the authority that the role they fill has attached to it. That is another aspect of shadow. Another aspect of shadow is archetypal shadow. There are basically five core varieties of power that are captured by archetypes. Archetypes are another term from Jungian psychology that are prototypes of key aspects of what it is to be human. All of us have an archetype in us that is about our beingness, our just being in a loving place in the world. It doesn’t have to do with doing; it has to do with stopping and smelling the roses. That is a form of power because leaders, for example, who aren’t expressing the lover archetype in their leadership are leaders who are perceived to be intimidating, and they don’t even know it because they are out of touch with expressing lover archetypal energy in an appropriate way through the leadership role they occupy. That is an example of an archetypal shadow, where they are not aware of these archetypal energies that influence how they show up as leaders. A fourth aspect of shadow is our survival plan from childhood that has turned into an unholy version of a redemption plan as an adult. When I say redemption plan, I am not talking about spirit redemption. I am talking about the ego’s distortions about redemption. The redemption plan is that I am going to make up for how I failed to get the connection or the validation or the safety that I needed growing up by overexcelling, overachieving, and all kinds of other forms of redemption plans as an adult. Having a certain amount of power, having a certain amount of money, etc. those redemption plan scripts that leaders are not knowing they are operating from as adults undermine and sabotage their authentic leader effectiveness. Another dimension of shadow that leaders deal with is money shadow, not having right relationship with money. Thinking about money in ways that actually sabotage profits or aggrandize money to a level where they are willing to sacrifice integrity, relationships, and social responsibility in order to get greater profits in the short run despite committing brand slaughter, as David Corbin refers to it, in the long run. Then the final aspect of shadow that is very big with leaders is boundary shadow. The whole notion of having boundaries is an area that is very confusing to people in general, and within that, leaders because it is confusing to people in general. Most people think of a boundary as a line drawn in the sand, as an ultimatum. Those are no boundaries. They get misdefined as boundaries, but that is not what a boundary is. A boundary is any limit I need to honor to love (if it is a person or relationship), to collaborate (if it is a work relationship) with you without resentment and with integrity. Boundaries—real, authentic boundaries—are all about collaboration, not about ultimatums or lines drawn in the sand. When leaders don’t have clarity about what healthy boundaries are and how to enact them in effective ways in their leadership role, they are in boundary shadow, too. We have power shadow, authority shadow, archetypal shadow, survival and redemption plan shadow, money shadow, and boundary shadow, all of which are part of shadow illiteracy in leaders, not because they are horrible people, but because shadow is something that what linguists call an empty category. In the field of linguistics, an empty category is a phenomenon that is occurring that has no name. When a phenomenon is going on that has no name, we can’t develop a conscious relationship with it. No harm, no shame, no fault, no blame. Now that the leaders that are listening to and watching our conversation today, or my monologue in these past few minutes today, are aware of the existence of shadow and its unintended negative impacts on leader effectiveness, they are responsible for developing shadow literacy as leaders. Hugh: That was awesome. I just think about myself. That is all I can do now. Unless we want to go into psychotherapy, what are some resources that people could go to to learn about this and then to learn about themselves in relationship to any of these forms of shadow? David: That is a great question, Hugh. This dimension that we are talking about right now, specifically having to do with leader shadow, I am the only psychologist I know who really talks about all of the dimensions of this and who mentors leaders in developing leader shadow literacy. There may be others I haven’t met or been turned on to yet who are doing this kind of work with leaders without going into the realm of psychotherapy. Again, I am bringing a psychotherapist’s wisdom to leader mentoring around this. There are all kinds of books that are available that can help people become more aware of the phenomenon of shadow. I am not recalling the titles just off the top of my head of those general books on shadow, but there are a few that are good. Maybe I can dig them up for you, and you can post them. Hugh: I will put those in the notes section with links. Do you write about this, or do you plan to write about this? David: Yes. What I have done is given keynotes on this. I have given training programs on shadow literacy. I will most likely transfer some of my training material on shadow literacy into online training at some point in the future. I just don’t know exactly when I will do that. I don’t mean to create scarcity around this. It’s just that this area of leadership effectiveness is so untended to that it’s been all that I can do over the past few years to just start integrating this into leader effectiveness mentoring. Of course the next step is to make it available in an online course format in the future and then perhaps from there into a book on shadow literacy for leaders. I am not sure how that will pan out. Hugh: Great. We will hope your schedule opens up so you can do that. I find this to be extremely valuable because these are areas that I have been totally blind to. As you know, I have spent a number of years studying the work of Murray Bowen, psychiatrist, and the Bowen systems, which is a leadership methodology. It has given me self-awareness without the psychological terms. Bowen uses another set of terms. I am tapping at the door of self-awareness in some of these categories. The good news is I am better than I was. This has been very informative. Thank you for this. This is a snippet, a micro of David’s macro knowledge base on so many different topics. I find this one to be so helpful. Just even knowing that this exists helps me start to identify areas that I need to take responsibility for. That in and of itself is a good resource. As we are signing off, any closing thoughts or particular wishes or tips you would have for leaders who want to get their head around this area of capacity-building? David: Yes. It’s piggybacking on what you were just saying about your own doors opening around shadow awareness. You are in my golden judgment, Hugh…you are a brilliant leader mentor…you are gifted as a leader, as a conductor…you understand leadership from so many different angles at a much deeper and broader level than many leaders do, which is why you mentor leaders. That is tied to my closing comment, which is that this is not about shame or blame or anything along those lines. It is quite the opposite, which is that even people who are effective, seasoned leaders, who are so seasoned like you that they mentor other leaders, simply haven’t been exposed to this dimension of leadership. All of us can think about leaders in our lives in organizations that we are connected with, places of worship that we are connected with, governmental entities that we are aware of, etc., that are operating from a place of shadow in their relationship to how they express leadership. They don’t even know that there is such a thing as leader shadow, let alone what the dimensions are, let alone how to develop a conscious relationship with these aspects of ourselves so that we can lead in an elevated way. This is my final closing comment: Imagine what it would be like if the leaders in your business, in your nonprofit, in your community organization, places of worship, the government were really aware of leader shadow and had literacy around right relationship with these dimensions. Imagine what the quality of leadership would be. Imagine what the quality of the culture in your organization or our country would be if there was literacy around shadow dimensions of leadership. That is my final piece. Imagine what it would be like if we really did have leader shadow literacy. It is possible to develop. Let’s do it. Hugh: Awesome. That is a call to action if I ever heard one. Dr. David Gruder, dear friend and so knowledgeable on so many topics, this is one that really deserves more hearing. Thank you for being my special guest today. David: My joy as always, Hugh. 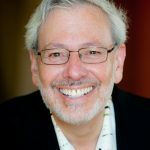 Dr. David Gruder is the founder and CEO of Integrity Revolution, and a clinical and organizational (business) psychologist. Integrity Revolution s mission is to help entrepreneurs, leaders and helping reclaiming their own. He is a CEO Space Purpose Partner for upgrading this business Brand & Relationship Integrity, in addition to being a faculty member and on the Faculty Integrity Team. Dr. Gruder speaks, trains and consults worldwide. His favorite keynote is The Hijacking of Happiness, Health & Prosperity. He also provides training and mentoring in conducting business integrity audits, upgrading relationship intelligence, creating collaborative accountability mechanisms, right use of personal power and work-life balance. The training and consulting he provides has ranged from the Sanoviv Medical Institute in Mexico to the Transactional Analysis Institute in Switzerland, from family-run businesses to American Express work teams, from Vistage Management Academy to ambassadors to the World Trade Organization.